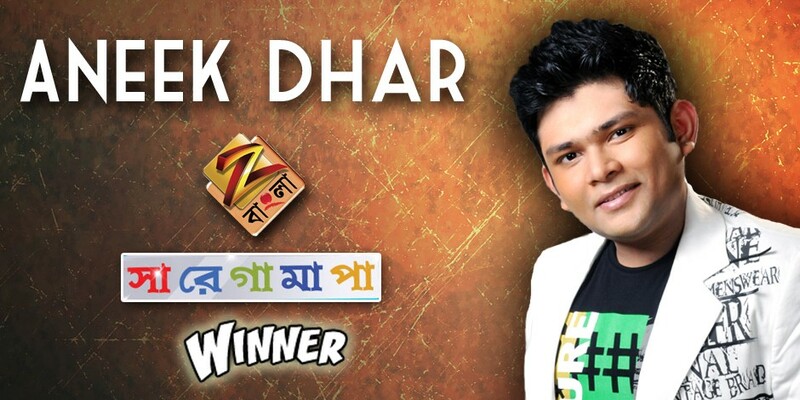 Aneek Dhar (Hindi: अनीक धर,Bengali: অনীক ধর) (born in 26 April 1990) born in a Bengali family in Kolkata, West Bengal,he is an Indian singer who won the regional spin off singing competition Zee Bangla Sa Re Ga Ma Paf and won Zee TV Sa Re Ga Ma Pa Challenge 2007 at the Sa Re Ga Ma Pa Challenge 2007 Grand Finale on 13 October 2007 by receiving 3.65 crore votes from India as well as from overseas. He came out with his first solo album named “Khwaishein” in 2008 which received huge response from music lovers all over the world. “Khwaishein” Won Kalakar Award in the Best Music Album category. Also Aneek did an Asami Album named “Agni” and during Sa Re Ga Ma Pa Challenge 2007 Days Aneek Sang In the Album ” Manzil ” & sang in the Bollywood animation movie ” Bal Ganesh ” along with Shankar Mahadevan. After Winning Sa Re Ga Ma Pa Challenge 2007 Aneek Sang in more than 50 Bengali films as well as in Bollywood movies as a Playback Singer. He has also sung title tracks for popular Bengali serials. His mission of filing a hit in Hindi film industry is still on. In 2008 Aneek entertained all music lovers by his mind blowing performances in Zee TV’s show Ek Se Badhkar Ek. Also in 2008 Aneek did successful Anchoring in Zee Bangla Sa Re Ga Ma Pa. Along with TV appearances Aneek did many successful Public Shows like – North American Bengali Conference (NABC) 2008 & 2010, did successful world tour after winning Sa Re Ga Ma Pa Challenge 2007. In August 2010 Aneek did public performances in the Netherlands also. In 2011 Aneek was back in zee Bangla as the Anchor (Host) of the show Zee Bangla Sa Re Ga Ma Pa Li’l Champ 2011. 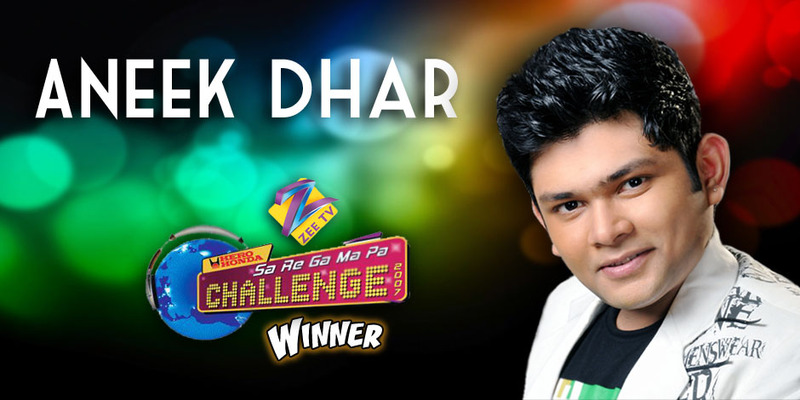 In 2012, he was the most promising singer among all the winners and challengers in the show titled “Jo Jeeta Wohi Superstar -2 ” on Star Plus. however it was unfortunate to not have him as the winner. 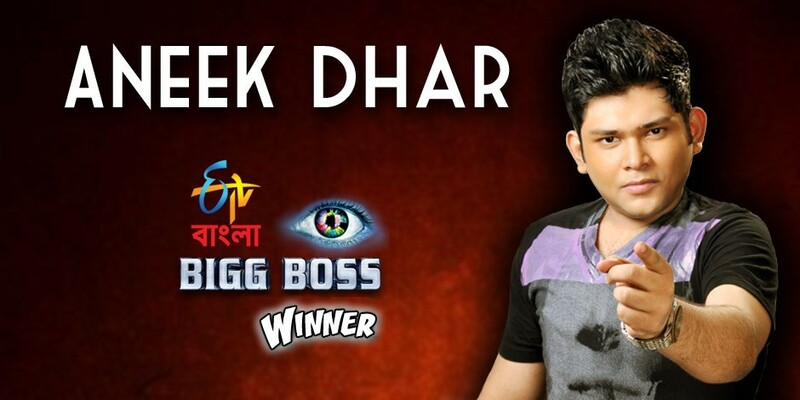 In 2013 He won the Bengali edition of the first season of Bigg Boss. Apart from participation fees, He won a taxable cash prize of ₹ 20 lakh Indian rupees. In 2014 He was seen in Etv Bangla’s new game show “Parar Shera Bouthan” as an Anchor involving in various fun,thrills and musical activities.